Raven Grimassi is a plant witch. He is a world-renowned author on witchcraft, folklore, Wicca, and Neopaganism whose most recent book, Old World Witchcraft, addresses something he refers to as the organic memory of the earth. He is a spiritual botanist–that is to say he goes beyond the medicinal or ethnobotanical uses of a plant and works with the spirit and the consciousness of the plant. In particular, he works with what we may all consider traditionally “witchy” or dark plants–rotanicals such as Aconite, mandrake, and hemlock. I was fortunate enough to have been introduced to Raven in Salem, Massachusetts a couple of years ago and to work with him as this book came out. I recently interviewed him. What is your earliest plant memory? This question brings back fond memories. When I was around five or six years old, my mother had an herb garden in the backyard. She would often call me over, show me a plant, and then ask “Did I ever tell you what we do with this plant?” This was always a learning opportunity. Here was the beginning of my interest in herbs and my understanding that they possessed abilities to influence things. 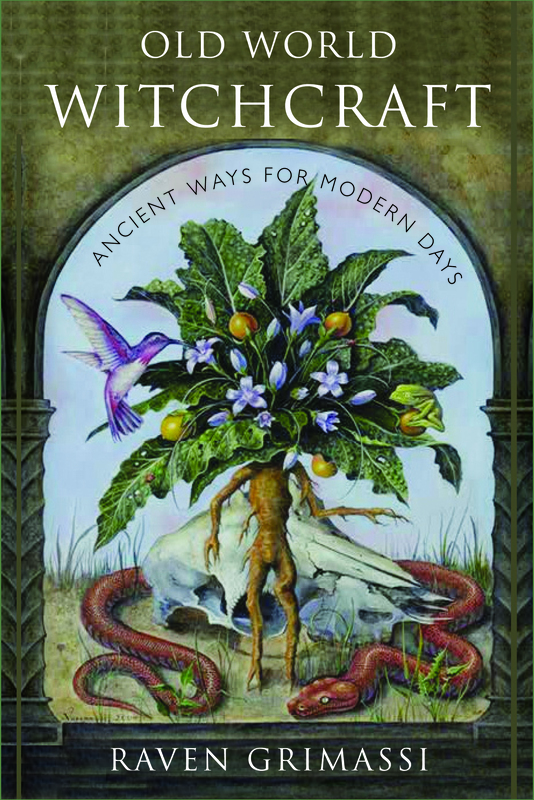 In Old World Witchcraft you introduce readers to the Ash, Birch, and Willow magical system. Can you describe this? It’s a system that, in part, is designed to link people with the sentient nature of plants and the spirits that inhabit them. At the core is a desire to be linked to the Green Wood in intimate ways, as were our ancestors before the time that humans moved towards mastering Nature as opposed to living in common cause with Her. The practice is intended to establish communication on inner spiritual levels with the consciousness of the living plant life within Nature. This is done through a variety of techniques such as meditation, conscious dream work, and the use of plant symbols that open direct channels to the Green Wood. You speak of the organic memory of the earth. Where do plants and plant magic fit in with this memory? Yes, the idea is that every living thing that died upon the earth had its essence absorbed into the soil. The memory of each is contained in the mineral composition of the earth, what we call the “bone memory” of the Land. We know scientifically that crystallized minerals can store, transmit, and direct energy. Plants absorb minerals through their root system, and the associated magical belief is that plants therefore can tap into the organic memory of the earth. This makes it possible to extract memories from the earth when we work closely with plants and their spirits. The book cover has an image of the mandrake on it. What is the significance of the mandrake? Poetically speaking, the mandrake is the plant that dreamed of being human, and therefore its roots took on a humanoid shape. Because we view the mandrake as part plant, part human (in the mystical sense) we think of it as a bridge between humankind and the Green Wood Realm. In this way the mandrake is a mediator between the worlds. Therefore we rely upon it to help with spirit contact and as an ally when working with plant spirits. Do you have a favorite plant? I have several that call to me in different ways and on different levels. I like the mandrake because of its direct connection to humankind, and have grown them for many years. The foxglove enchants me and I love its flowers. 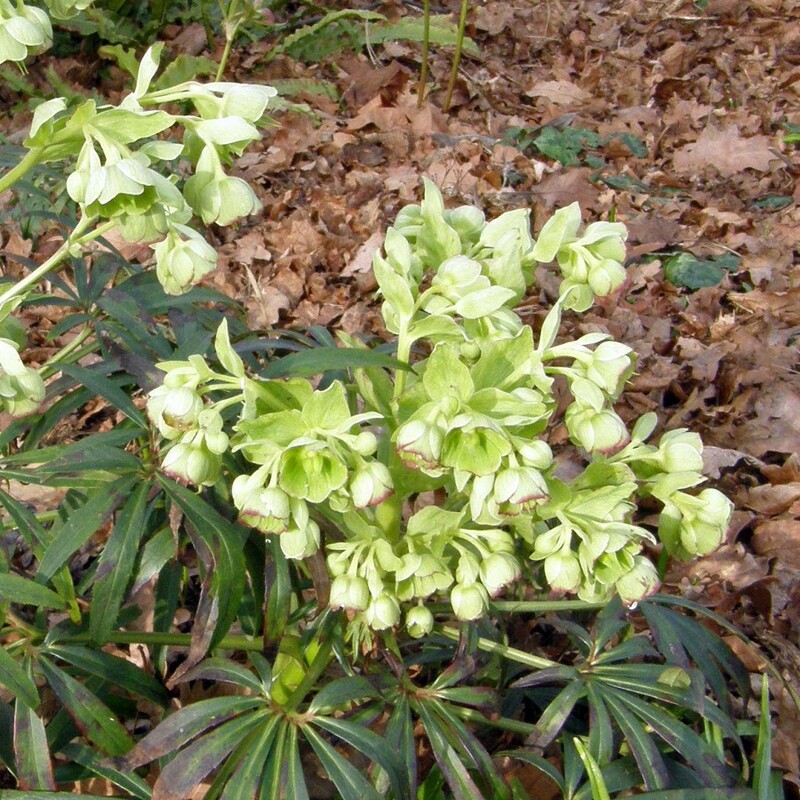 Aconite is another plant that I love for its potent energy that it emanates – it is quite mystical. What is growing in your garden right now that you are especially proud or fond of? Well, all the traditional plants of Witchcraft, of course! I grow them all: aconite, henbane, hemlock, hellebore, belladonna, and foxglove. These plants surround a rose bush that represents the spiritual teachings of my personal tradition. I also recently planted seedlings from selected trees that have legends associated with them: rowan, hawthorn and blackthorn. Cover artist for Grimassi’s book is Benjamin A. Vierling. Look for an upcoming Rotten Botany interview with Vierling and his botanical alchemy! Also be sure and watch for future entries on all of the above mentioned wickedly wonderful plants!